Green Venture is located in the Davis Creek Community, defined as the area from the Red Hill Valley to Centennial Parkway and from the escarpment to King Street East. We work closely with the Davis Creek Community Planning Team and are always looking for ways that we can give back to community. Recently Green Venture learned about the City of Hamilton’s Adopt-A-Park Program and decided to look into adopting a park of our own. With the Adopt-A-Park Program a group adopts a City of Hamilton park. The park remains the property of the City but the community group helps maintain it through regular litter cleanups, removing graffiti, weeding and generally keeping an eye on the park. 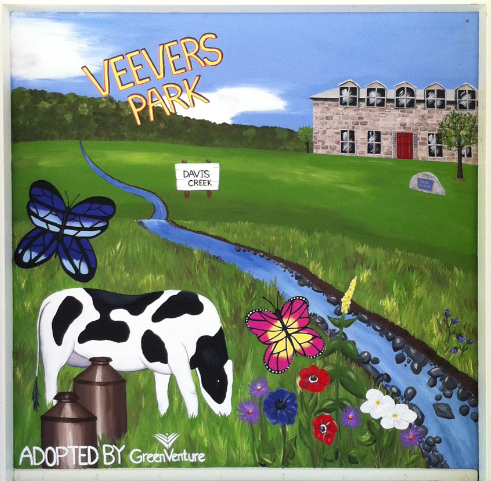 Just up the street from Green Venture is Veevers Park, located at 688 Greenhill Avenue. A nice park with a playground, small splash pad and large open area. 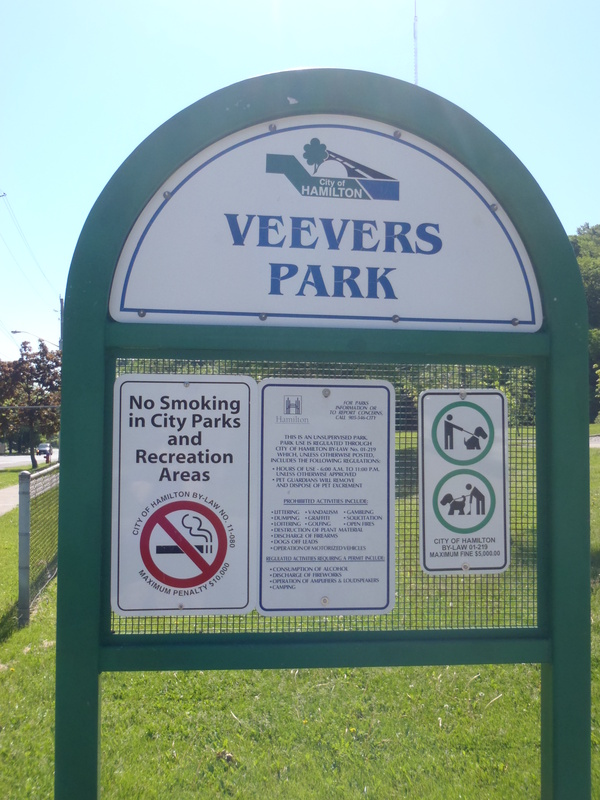 Veevers Park was actually donated to the City of Hamilton by the Veevers brothers, Bertram and Ronald, the same men who donated Green Venture’s EcoHouse to the City. The location, name and history of the park was a great fit for Green Venture, so we decided to adopt it! Becoming involved in the Adopt-A-Park Program was incredibly easy and before we knew it we were hosting our first park volunteer event as part of the annual Davis Creek Community Cleanup event this past spring. Early in June we hosted our next event, a park beautification day where volunteers and staff worked together to pick-up litter, clean graffiti, pull invasive weeds and put wood chips around the park trees. Another park beautification project Green Venture recently completed was painting a new mural in the park. This mural, found under the picnic shelter, is a way to brighten up the park while highlighting some of Davis Creek’s historical routes. We are looking forward to more events and projects in Veevers Park over the next few years, including our next cleanup on October 4th, 2014. If you are in the area, make sure to visit! 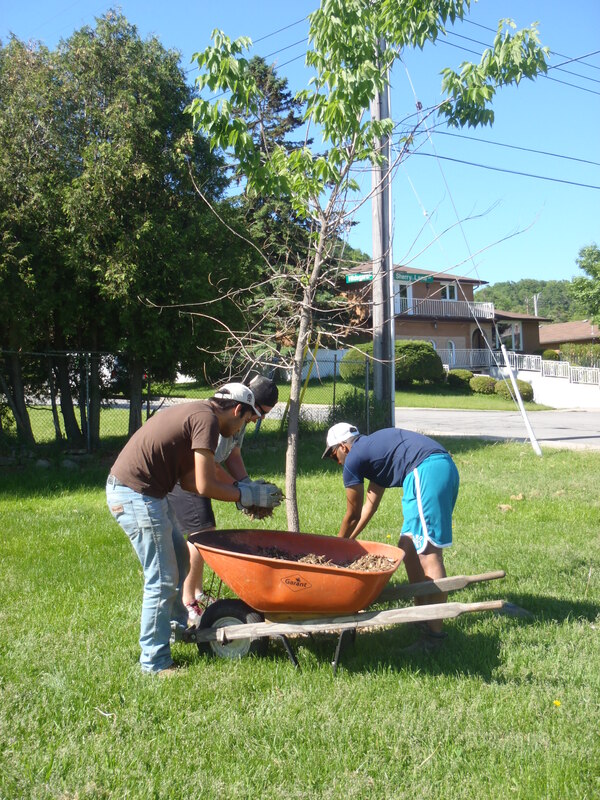 To find out more about the Adopt-A-Park Program, visit the City of Hamilton website.